Show your items more often and sell them faster by using Promote. Promoting makes your item appear in featured positions within the top 50 items in search, browse, and category results. 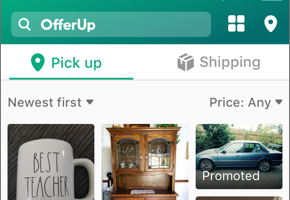 When a buyer looks for items like yours, they'll see your promotion. Promoted items are rotated among the designated spots so every item gets fair exposure. Buy a promotion to promote your item for a set length of time, like 3 or 7 days. For ongoing promotions and more options, check out our Promote Plus feature. Your item will be seen by buyers soon, labeled Promoted.